This week on The Bugcast: We discuss departures, searches, and we play 8 cracking tracks of independent and Creative Commons music from Houdini Roadshow, Skabrot, Tab & Anitek, Kicklighter, Hananmisery, Hillary Reynolds Band, Liam Stewart, and Antarhes. 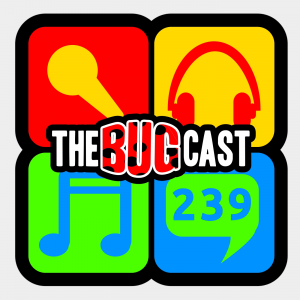 the bugcast 239 – It’s a boy! This week, an epic show, epic chat as we’re joined by a guest, with some epic music from Harry Marttila, May Stands Still, Dazie Mae, Elijah Tucker, Skabrot, Mr Hunter, Midi Chips and La Catrin.